Idea Factory International have announced that the dungeon-crawler themed JPRG Moero Chronicle Hyper, which is a High Definition remaster of the original will Moero Chronicle that was released in Japan and Asia onto the PlayStation Vita, will receive a western Nintendo Switch release during Spring 2019. 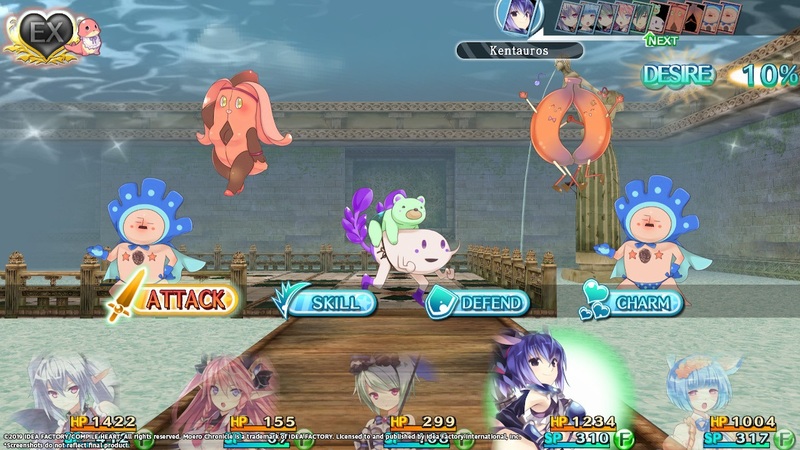 Originally released as Moero Chronicle in Japan and Asia on the PlayStation Vita, and then worldwide in 2017 with a Windows PC release on Steam, this dungeon-crawling RPG asks, “How cute can a monster be?” and will challenge players to fight through dungeons, recruiting Monster Girls, and building relationships with them in order to solve the mystery afflicting the denizens of Monstopia. Vibration function for the “Bumping Scratch” session. Autopilot Mode, which allows players to point on a map and automatically brings you to the player’s destination. ALL original art and event CGs released in the PlayStation Vita and Steam versions! Io is a simple young man with only one problem – he can’t talk to women! Any attempts at conversation are destroyed by his perverted mind, except when he talks to Lilia, his best friend and a Monster Girl. However, that becomes the least of his problems when he’s tasked with going to the dangerous region of Monstopia. There, Monster Girls have begun rampaging, causing wanton pain and destruction. Have the Monster Girls simply gone mad, or is there an even greater evil afoot…? Find out in this moe-filled dungeon RPG! Moe Monsters Moe Problems! – Recruit 50 Monster Girls, each with unique skills and traits, to fight for you! You’ll have to wear them out in battle first though! Can I Kick It? – Build your relationship with each Monster Girl through special events, gift-giving, and even home improvement to increase their powers and abilities! Trait Flexin’ – Strategize your 5-person party by keeping their Moe Traits in mind – when combined together, you can recover after battle, increase your party’s attack, and more! Nothin’ Wrong with a Little Bumping Scratch! – Purify your Monster Girls and return them to their senses with “Bumping Scratch”! Find their points of weakness on their body and touch, rub, poke, or pick until they’re purified! 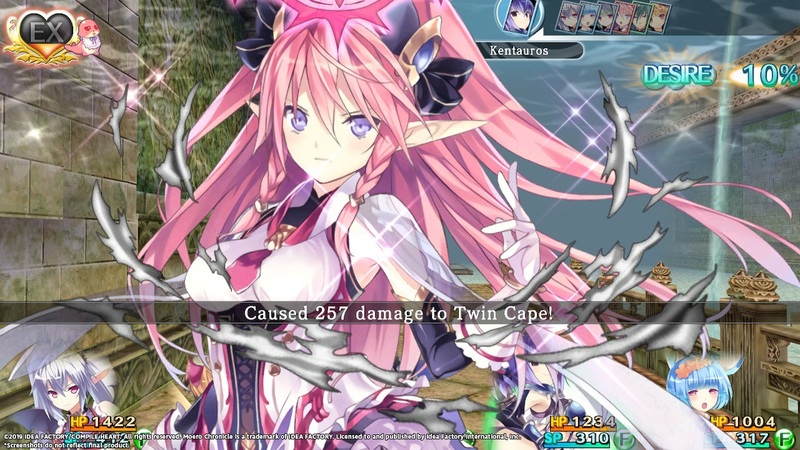 Moero Chronicle Hyper will be released digitally on the Nintendo Switch during Spring 2019 with further release details to be confirmed at a later date. Idea Factory International have expressed that the game will be priced at $29.99 (so we assume £24.99) and will feature a 30% launch discount (as confirmed on Twitter).